It’s been a while since I’ve been back at TwoTen Oyster Bar in Narragansett and I was pleasantly surprised at the weekday deals they were offering. 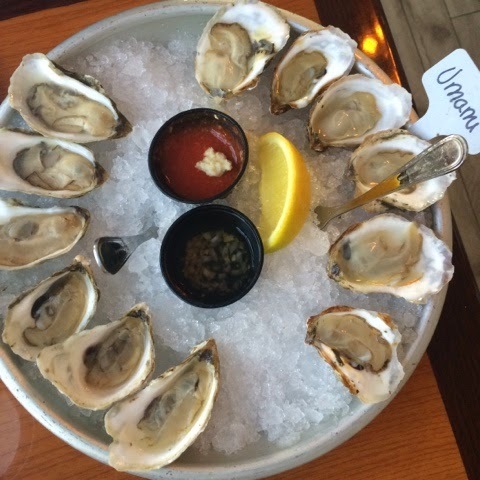 Not only were they doing the Buck-A-Shuck oysters, but there were also $5.00 martini specials. 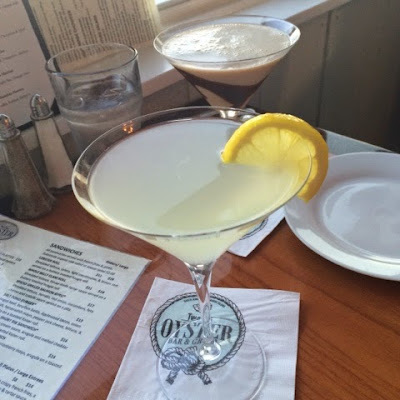 I couldn’t resist the Tinderella martini, just because of the name. 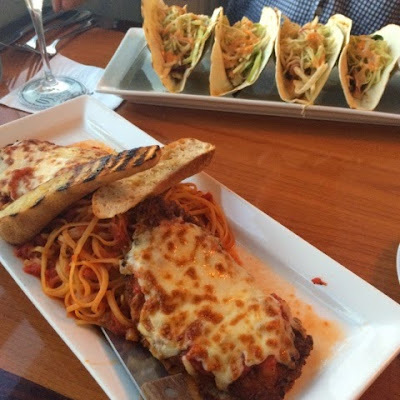 My friend and I shared our entrees–he ordered the swordfish tacos and I got the chicken parmigiana. To be expected, both of them were delicious.